Bought from the USA - you can’t buy these in South Africa. 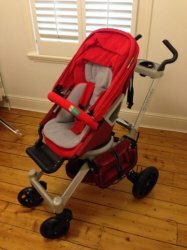 Used for one child, in excellent condition, from a pet and smoke free home. Serious Orbit Baby buyers only please.